The results of the first architectural plain-air Home Fest held from the 3rd to the 6th of September at the resort “The Warm Lakes on the Snezhnaya” (Slyudyansky District, Irkutsk region) are presented. The Festival was aimed at drawing attention to the nature and the relationship between man and nature. The principal requirement of the project was using the real landscape as the main artistic material and the object. KULESH, Darya. Architectural Plain-Air Home Fest at the River Snezhnaya. 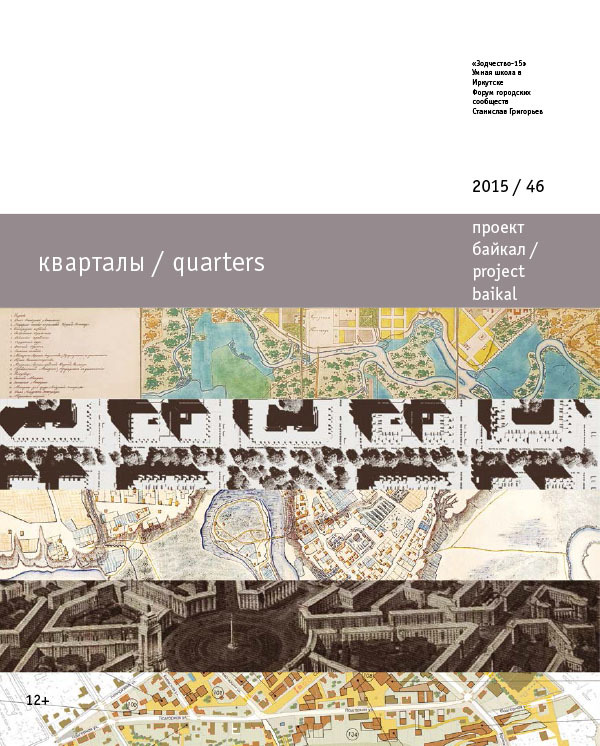 project baikal, Russian Federation, n. 46, p. 26-29, dec. 2015. ISSN 2309-3072. Available at: <http://projectbaikal.com/index.php/pb/article/view/933>. Date accessed: 26 apr. 2019. doi: https://doi.org/10.7480/projectbaikal.46.933.